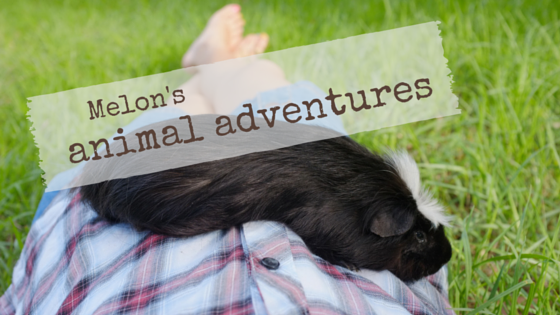 Melon's Animal Adventures: Flashback Friday: It's Gatsby Time! Flashback Friday: It's Gatsby Time! Things are still happening around here, but we've had some technical difficulties and the human has a bit of a cold. So while those updates are still coming, I think it's time for a flashback! Miss Gatsby is the first dog who ever boarded at my house. She's a beautiful Japanese Spitz and was just a year old when she stayed with me. She loves the outdoors and I loved to watch her explore the yard. Most of all, she's sweet and her trust in me when she visited reminded me of what I have to contribute as a trainer and as a companion to the canines.